News that high street retailers are facing administration or closure has become a worrying trend in the last few months; even century-old giant, House of Fraser, couldn’t keep their head above water across their 52 department stores. New Look is shutting around 100 branches. M&S have reported a sales decline across their fashion and food departments. At a time where UK online sales have skyrocketed, there has been an underlying sense of pessimism on the high street. Vacant retail spaces are rising. Meanwhile, large warehouses to store online inventory are in high demand. The ongoing debate of online vs. physical retail has never been more important as consumer shopping behaviour has drastically changed. The traditional 50-year or so shopping habits- that retailers have fine-tuned through the decades- are eroding away as online shopping has come of age. What use can physical stores serve in a digital age? On one hand, the ease of online shopping has some in the opinion that stores are entirely redundant. On the other hand, those yearning for in-person interactions and physical experiences, away from digital isolation, are cutting through the noise of the skeptics; take a look at how Generation-Z wish to un-plug. There is a brewing case for bricks and mortar to stay firmly grounded in the face of the e-commerce wave. The secret’s out that brands need to leave behind their expertise of shoppers back in the 1990’s in favour of experience-led, convenience retail. I met with Holly Haggas, a 5th Generation family member of an international retail agency that offers brands the latest in-store solutions. Outform works with medium-large brands on a research, consultative and design basis. Their clients stretch multiple sectors including fashion, beverages, audio, finance and beauty. All look to utilise Outform’s services to push ahead in the game of enticing the modern consumer. 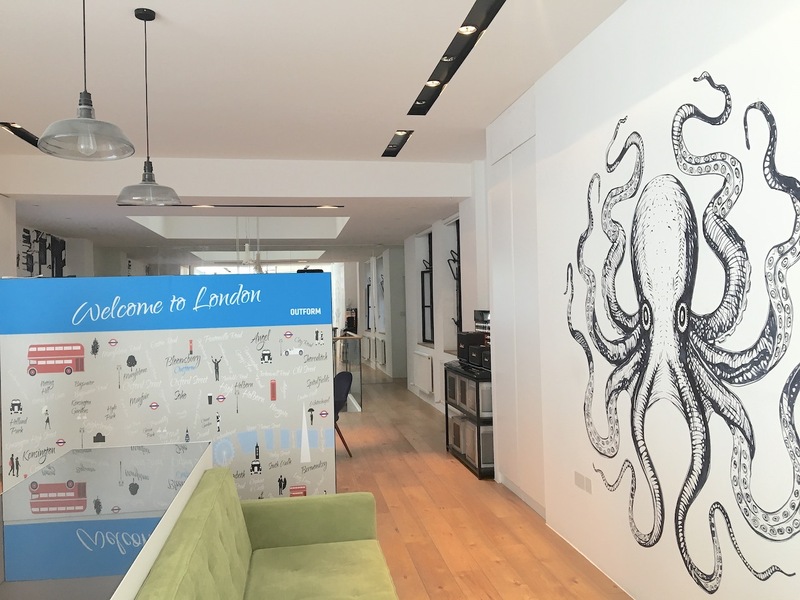 Their showroom situated at 20 Margaret Street provides a handy backdrop nearby the UK’s busiest retail destination, Oxford Street, and within the radius of countless head offices where crucial visual merchandise decisions are made. 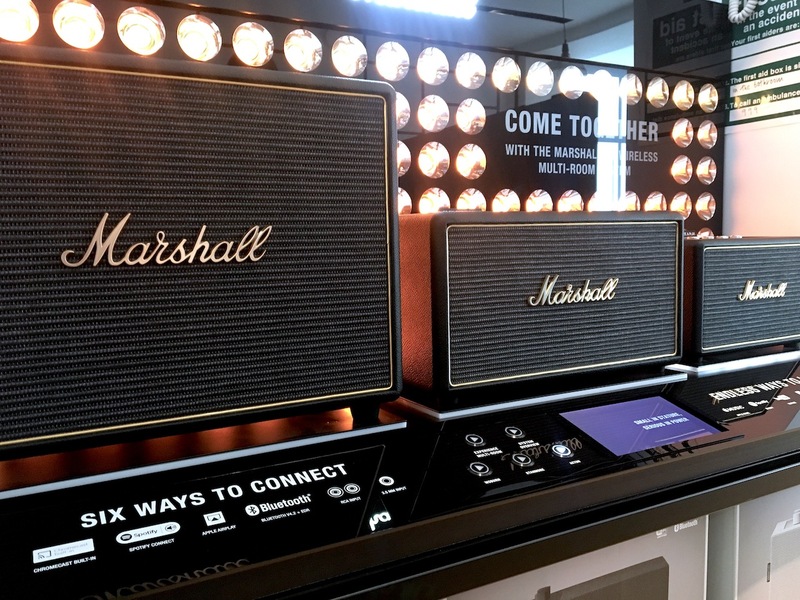 On show are some of Outform’s recent projects, including Absolut’s ‘Bottle Glorifiers’ and Marshall audio kiosks. Perhaps the most exciting gadget on centre display is a large interactive touchscreen table with a customisable car configurator (video below). As an avid shopper, Holly reflects on her own shopping experiences, particularly on Oxford Street. How would you describe Outform? Outform merged with The Valley Group, a 126-year-old family business, in 2017. We worked with many of the same brands, including Nike, and merged our product manufacturing expertise with Outform’s global presence. You can define us a Retail Marketing Agency, but we’re a little different. We specialise in creating tangible brand experiences and we try to influence customer behaviour in store. Outform has a dedicated agency in Leeds that carry out consumer behaviour research, and we also have manufacturing/installation teams based in Leicester, Shenzhen (China) and Eastern Europe. Where are Outform’s innovative ideas drawn from? Our Israel branch is heavily involved with the new technologies that can translate into future instore elements. The Tel Aviv team are a tech-hub that keep on top of the latest trends. We pride ourselves on having an innovative edge and constantly monitoring consumer behaviour. They pull off from different research companies and independent institutions. We’re keen to watch customer behaviour and buying habits to ultimately understand what customers want. 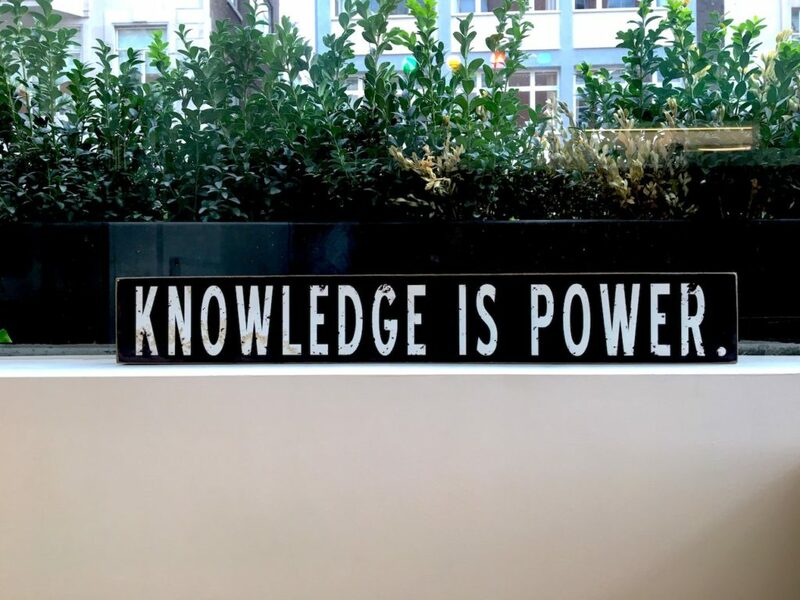 The information we gather is unbiased and therefore invaluable as it’s what our clients desire- first-hand research and active up-to-the-minute information they can use for the future. How does the process come in motion when a Client approaches you? In the most simplistic situation, a client will approach us with a brief and a goal in mind. We then use our research and knowledge of the industry to consult with them on ideas and what could work best- the feed of ideas can come from both directions. Sometimes we proactively find the next upcoming trends and pitch that to our current clients. Some of the work is replicated, so a brand may see what you’ve done for a company in a completely different sector and want to be the first to offer the same in their market. I’m currently working with a client who is looking for a 2-month turnaround- that’s a December deadline to design, develop, create artwork, make prototypes and get a fully installed roll out of 250 units. Ideally, a project like this would usually take 8-12 months (so it’s a real challenge!). If a new piece of technology comes out within that time-frame, we’d redo the drawings and the customer testing and so on. We also measure the Key Performance Indicators for the project after the concept hits the store. What’s been one Outform’s most notable projects? 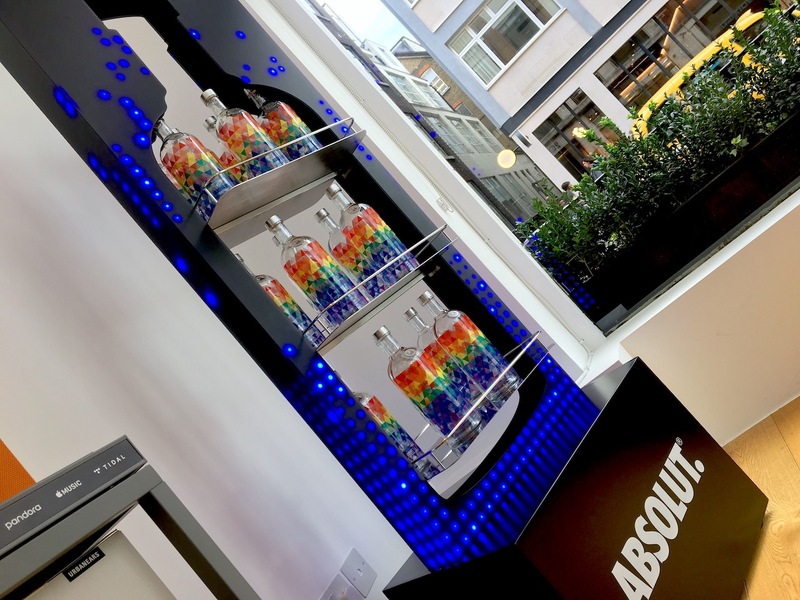 Absolut has been my favourite and it’s been a fantastic achievement. Our ‘Bottle Glorifiers’ were made popular organically through social media, and it tied in with the LED light display stands. Their ROI increased in an impressive 30%. Where do you personally see the future of retail? You may be surprised to hear that I see more people choosing to go instore. It’s evident with the clients we’re working with who are actively trying to get more people in their stores and convert them into long-term customers. With how technology is progressing, and assuming brands adopt future trends, exciting elements like VR will drive the concept of the brand experience and offer something tangible. The online world is very limited in offering an experience. I see customers discovering brands they align with online and eventually seek to visit that brand’s physical location for full emersion. How can smaller physical boutiques and stores compete? Unfortunately, the new era of retail will severely disrupt the brands who will choose not to embrace the modern consumer. No matter what size, Brands need to be real with themselves and put their customer’s retail habits at the forefront of everything they do. There’s only so many excuses they can make in regard to the state of the market. Yes, Brexit and economic changes will affect the high street, but not keeping up with shopping trends will inevitably lead more into administration; customers may stop shopping in their stores, then cease on their online store. You have to evolve or you will be forgotten. I am of the strong belief that smaller brands and retailers have an advantage. They have a better opportunity to make the biggest impact by doing something small. Which store should retailers take note of? Every single human that works in the retail sector needs to visit Gentle Monster on 28 Argyll Street. They’re a South Korean glasses brand that has just opened in July and now have a Selfridges concession. A visit will be the most memorable experience. They stand out by being impactful and innovative. It’s easy to tell they have built the shop from the ground up with customer experience as their main focal point.